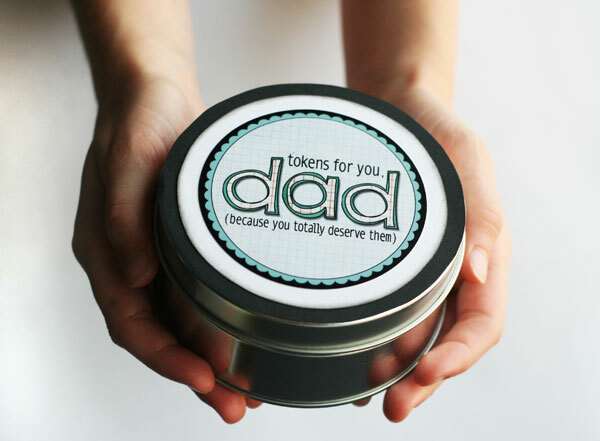 If you’re finding yourself stuck for a Father’s Day gift idea or perhaps the kids want to make dad something unique and special just for him, click through to find some fantastic DIY ideas! First things first – every dad deserves a fantastic card to open on that special Sunday. Try your hand at this fantastic Folded Shirt Card using just two pieces of patterned paper. 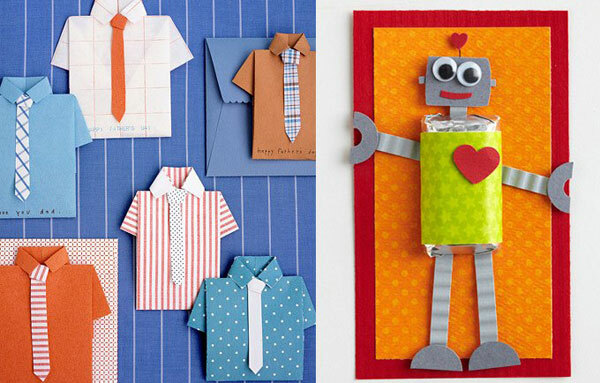 Alternatively this super sweet Robot Card is easy to replicate and holds a sneaky chocolate! We here at Babyology love taking candid photos with our mobile phones and I bet there’s plenty of dads out there that love to do it also. 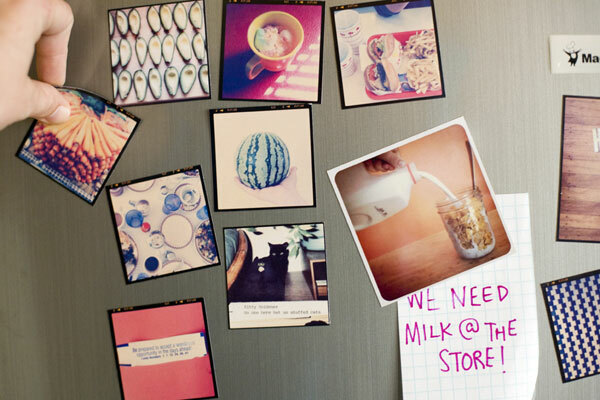 I adore this idea (pictured above) of turning phone photography collections into something for everyone to admire by printing them out as magnets. See how to do it easily yourself at Photojojo. 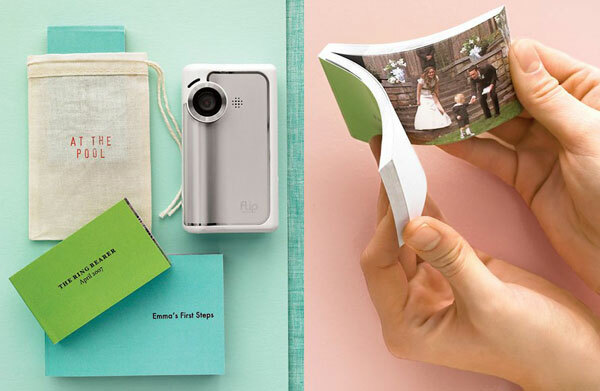 Still on the photo tangent, Martha shows us how to make this awesome photo flip book. Try making your own at home using your printer and photographic paper. Milestones and activities like learning to walk, riding a bike, surfing, even cooking make a gorgeous flip book for Dad. 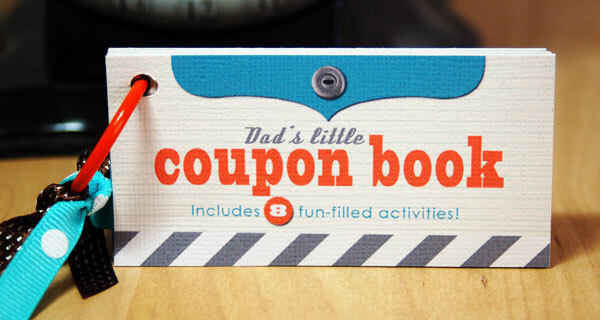 A regular favourite gift to give is a coupon book. I love this tin version (below) from Eighteen25 and of course the more traditional style (above) can be created with this Create coupon book tutorial, or try this Martha Stewart free printable. You will be amazed at what kids think of for a coupon – we had an entire coupon book for a single cup of coffee one year – one coupon for a teaspoon of sugar, another for milk, another for stirring and so on. There are plenty of other craft and DIY ideas that can be adapted for Father’s Day – if dad fancies himself Lord of the Barbecue, the kids (with help) can make a batch of spectacular barbecue sauce. Or perhaps Dad loves nothing better than reading the paper with a cup of coffee – kids can give dad his very own special decorated mug using a plain white mug and readily available ceramic markers. 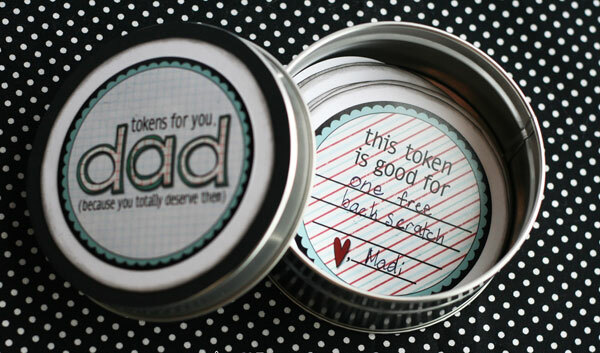 Let us know in the comments below what DIY craft ideas you have in mind to make Father’s Day 2011 extra special – happy crafting!